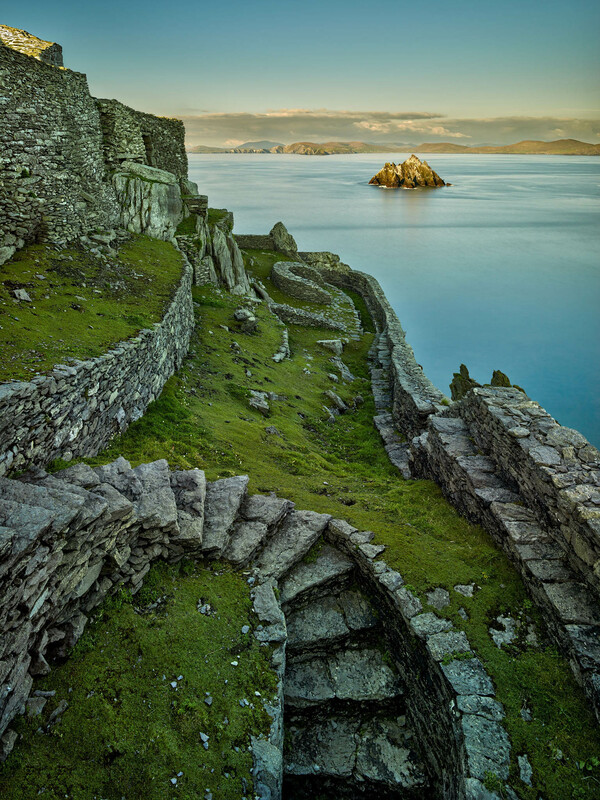 Part of my series on Skellig Michael, the beehive huts and walls on Skellig Michael built by early Christian Monks are a sight to behold. Their forms are sympathetic to the natural rock formations on the island. They sit majestically on Skellig Rock. You can’t but sit back and take in the view back to the Kerry mainland and Little Skellig. It is hard to believe that they are over 1500 years old!